Now is your chance to be a part of history. 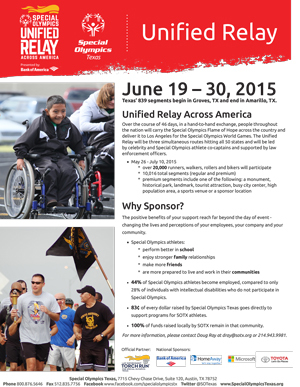 You can carry the torch in the first-ever Special Olympics Unified Relay Across America. This summer, the United States will host the world’s largest humanitarian event of 2015, the Special Olympics World Summer Games. 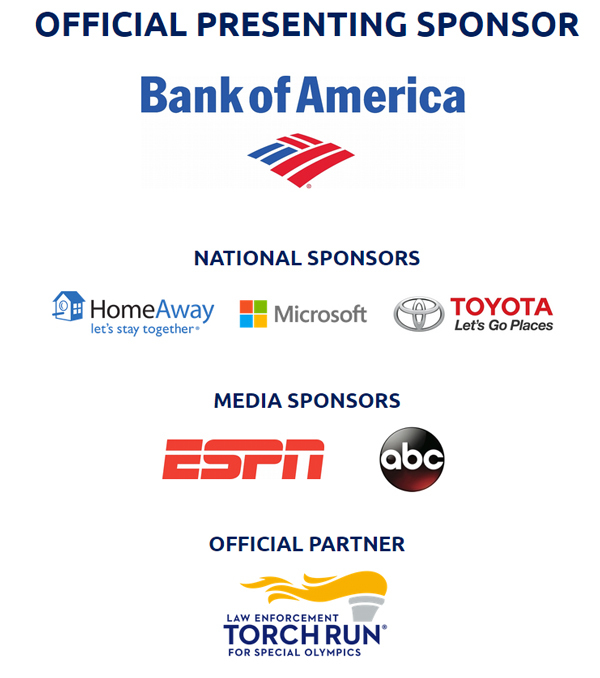 You can join the excitement by helping to deliver the Flame of Hope as it passes through all 50 states on its way to Opening Ceremonies by participating in the Unified Relay Across America, presented by Bank of America. 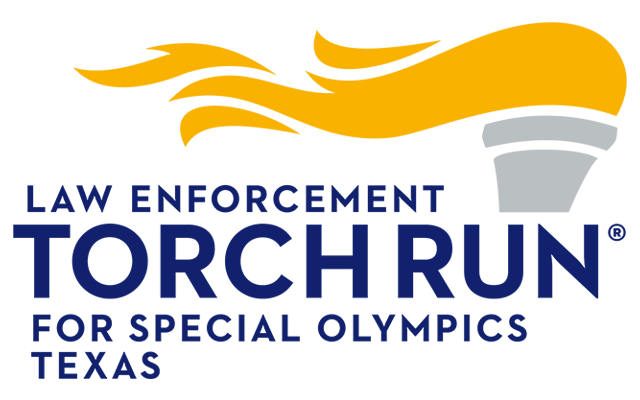 Supporters will have the opportunity to run with the Flame of Hope by signing up as an individual torchbearer or as a team of torchbearers for a half-mile walk or run segment or a five-mile bike segment in an area of interest across Texas. Funds raised from the Unified Relay will go to Special Olympics Texas to provide sports training, competition opportunities and additional programming that empowers people with intellectual disabilities to become accepted and valued members of their communities, which leads to a more respectful and inclusive society for all. There are two types of segments: a walk, jog, roll, run or a bike segment. Walk, jog, roll, run segments are ½ mile and bike segments are 5 miles. 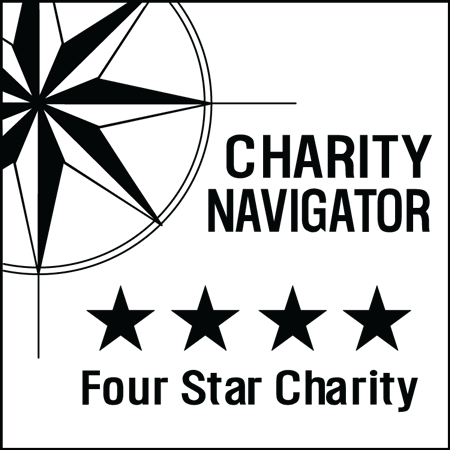 Torchbearers must meet their minimum fundraising goal of either $1,000 for a regular segment or $2,500 for a premium segment before your segment is assigned. 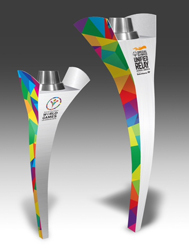 Teams must raise a minimum of $1,500 to keep your torch (pictured above).